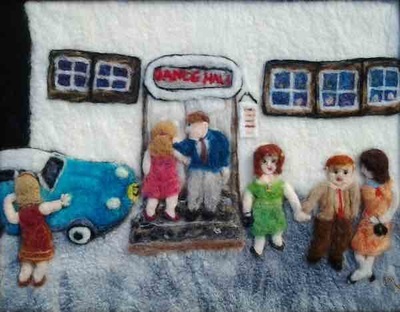 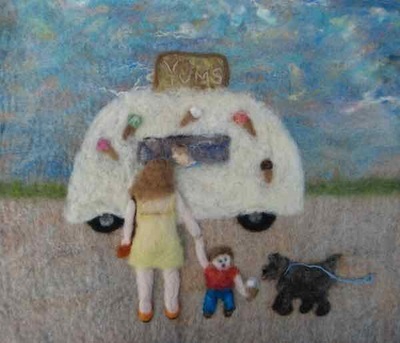 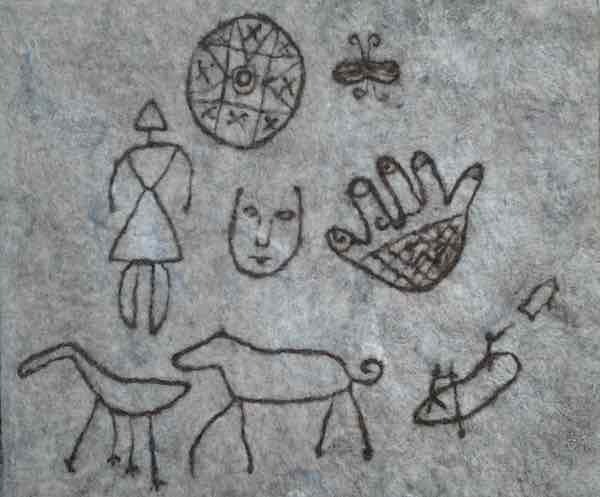 My interest in felting began about five years ago when I bought a small needle felting kit at a craft fair. 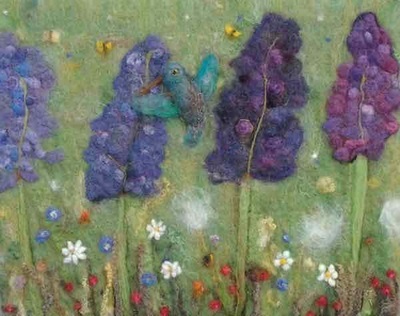 Up until that moment I had loved felted art works, but I never thought I could make felt paintings myself, but I soon discovered that needle felting is an easy technique to learn. 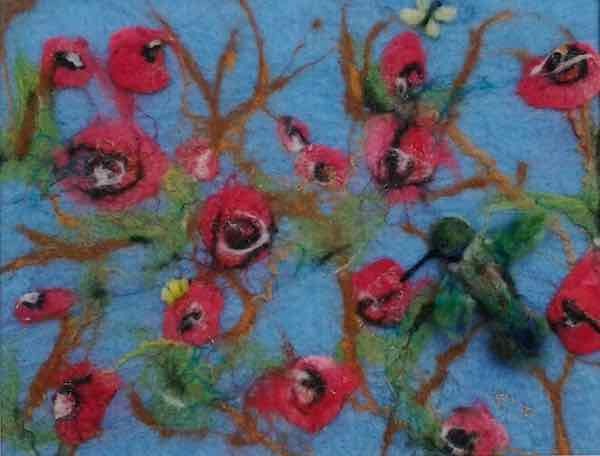 My skills in felt making were gained over time through taking a couple of classes in felt making and by reading books, watching You Tube videos and in learning from felters on Facebook. I continually try to learn new ways of improving my skills in this ancient craft. 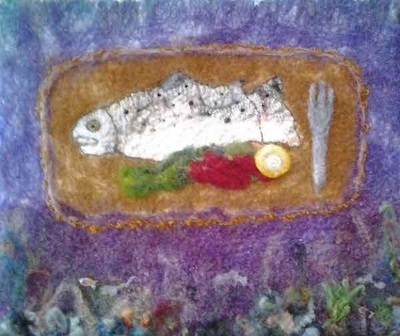 Working with unspun wool to make art pieces using needle and wet felting techniques is my ongoing obsession. My inspiration comes from being a very curious person, as well as being nostgalic for the styles of long ago and in having a silly sense of humour that is useful for inspiring new projects.